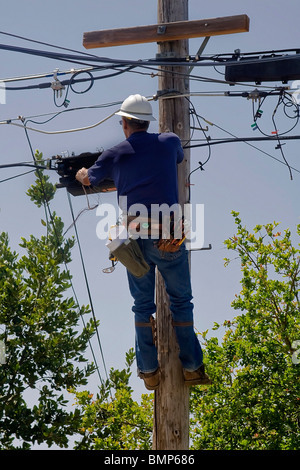 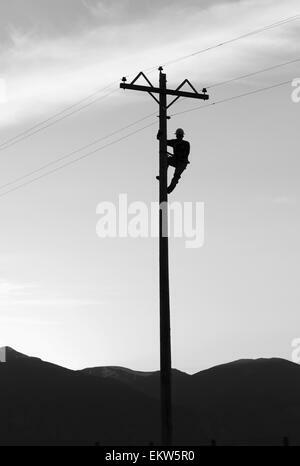 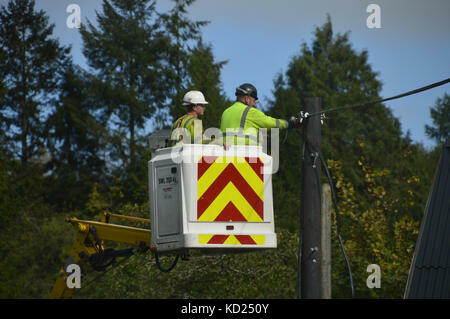 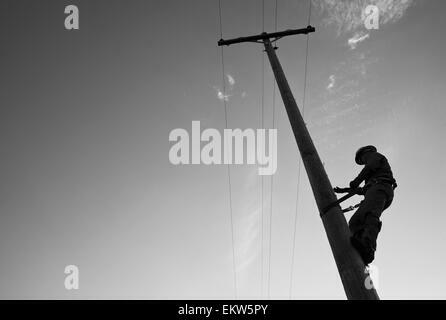 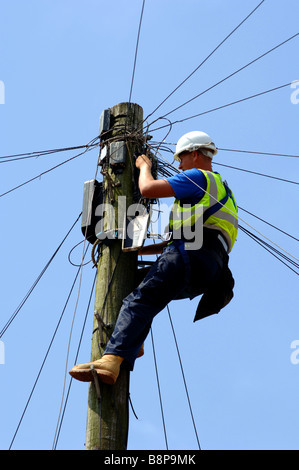 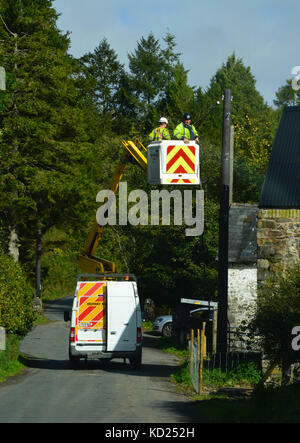 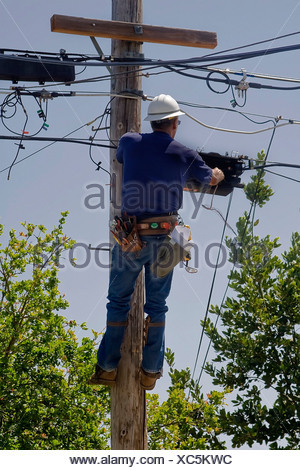 Men working sign on telegraph pole. 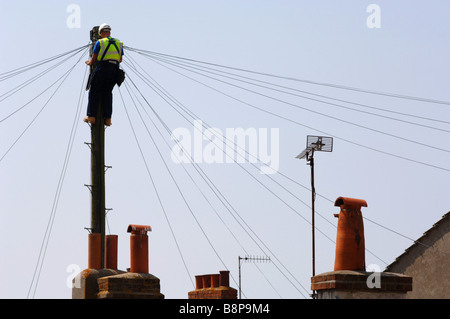 Suffolk, UK. 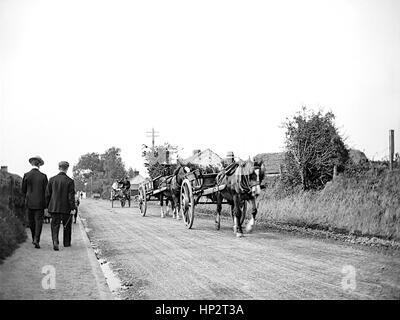 A convoy of horse drawn carts driving down a rough country lane in Kent taken in 1910. 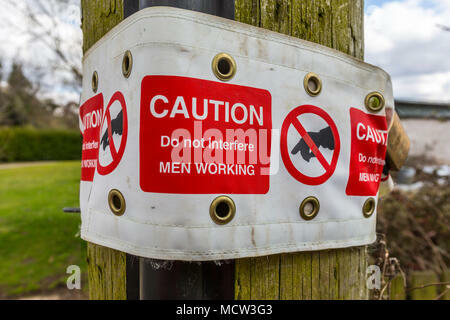 On the left is a narrow pavement with people walking , on the right is a high bank with hedging on top, Restored from a high resolution scan taken from the original Edwardian glass negative. 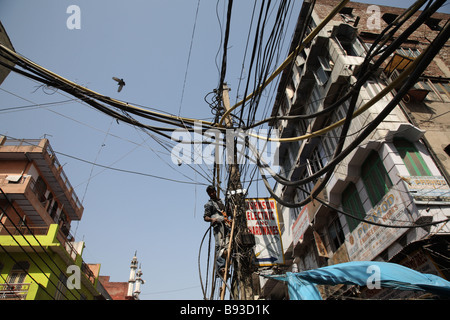 An electrician repairs cables on a pole in the street in Old Delhi, India. 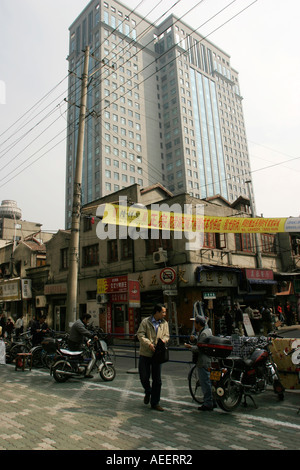 Old shop and skyscraper in Shanghai China. 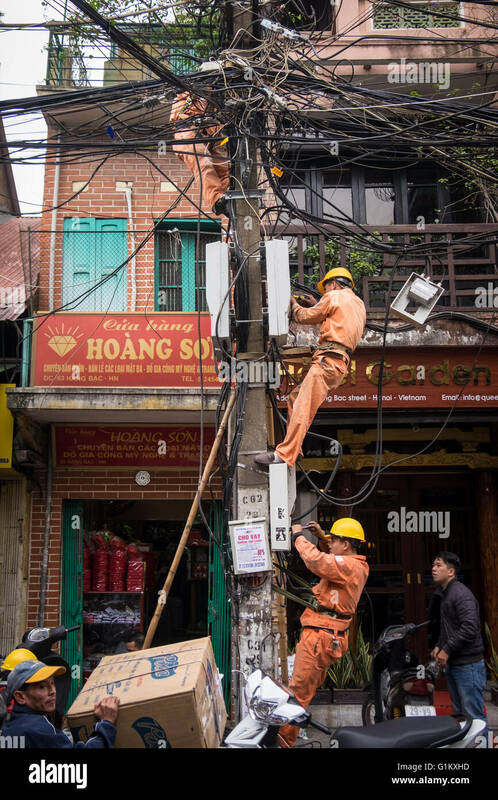 Old shops continue to trade in central Shanghai as new buildings replace the old.